KneeMD™ is the First Patient-Controlled Knee Rehabilitation Device to Help Improve Range of Motion after Total Knee Replacement or Other Major Knee Surgeries. Preferred by surgeons, physical therapists and patients. 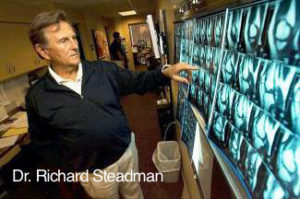 KneeMD was co-developed with world-renowned surgeon Dr. Richard Steadman and a world-class design team. Through several years of development, testing and optimization, working with top surgeons, physical therapists, diverse patients and professional athletes, KneeMD was created to solve the critical issue of extension deficit. Many patients have seen their lives change and improve by restoring motion in their knees. Now, our team is thrilled to make KneeMD available to the world. KneeMD offers comprehensive knee rehabilitation capabilities by allowing patients to practice and perform a variety of stretches that simulate the different ways a physical therapist would manipulate their knees during a therapy session. 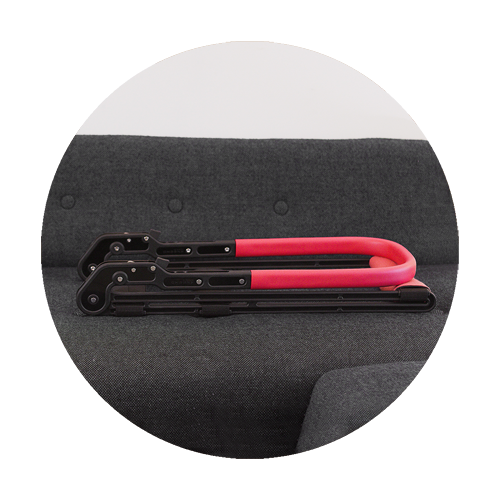 KneeMD is lightweight and easily portable, so patients can use it anytime and anywhere, improving compliance and satisfaction with rehabilitation therapy. 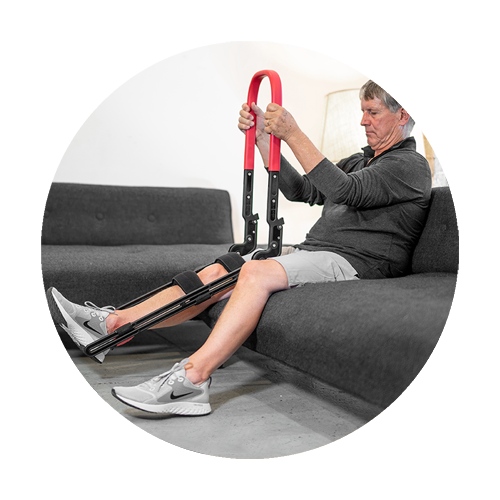 KneeMD is already helping patients at top physical therapy clinics regain motion after knee surgery and is available for purchase by patients and clinics nationwide. Post-operative rehabilitation following total knee arthroplasty (TKA, or total knee replacement) and other major knee surgeries is critical for regaining range of motion and strength. 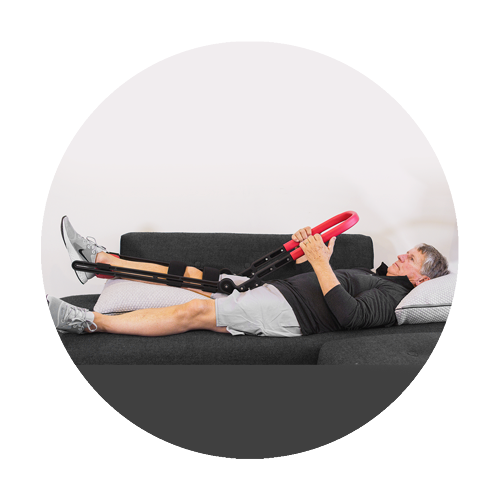 KneeMD is an easy-to-use knee rehabilitation device that allows patients to effectively stretch and rotate their knees on their own, without the assistance of a physical therapist. KneeMD gives the patient complete control over their therapy exercises, so they can adjust the frequency, duration and intensity of rehabilitation to minimize pain and maximize functional gain. Because it’s so effective and easy to use, KneeMD is helping patients take ownership of their own rehabilitation. Physical therapists who use KneeMD with their patients report improved patient compliance with therapy, leading to an overall decrease in manipulation and an increase in patient satisfaction and success. It helps me tremendously. I use before every game before I warm up and start activity. Then use after game. It allows my knee to get that extra couple degrees and puts less stress on my leg. My trainers even pack it on all the road trips. I like how convenient it is as well. i know my knee wouldn't be as good as it is now with out it.